If you’re looking for a great Italian sausage recipe, this is the one. 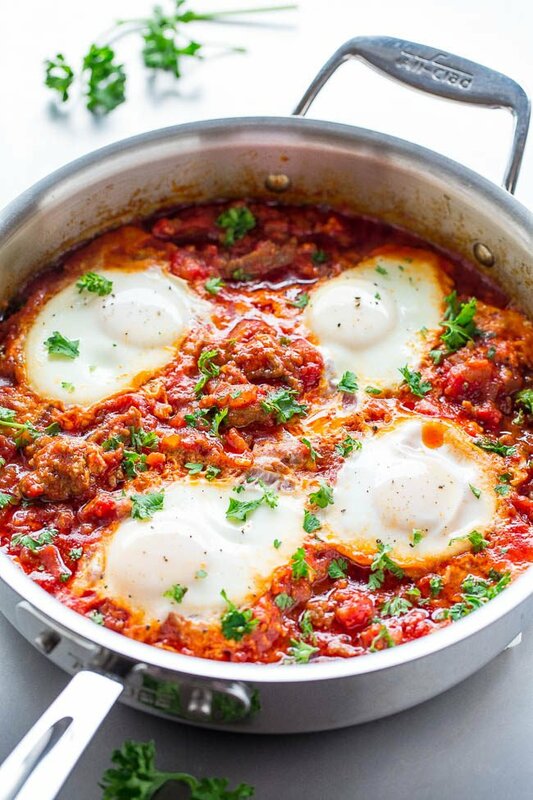 This recipe is like shakshuka, otherwise known as eggs in hell or eggs in purgatory but it’s a little different. Those recipes normally don’t add sausage but I did. Why not. The sausage adds another layer of flavor in addition to the crushed tomatoes, onions, garlic, and smoked paprika. I used hot and we liked the subtle kick but use mild if you prefer. The sausage makes the dish heartier and it’s great comfort food. It’s an easy recipe that’s ready in 30 minutes and perfect for lazy breakfasts, holiday brunches, or breakfast-for-dinner. My family never says no to eggs and this was a winner. The flavor of the tomatoes and sauce reminded us of The Best 30-Minute Lasagna Soup which was a wintertime favorite. 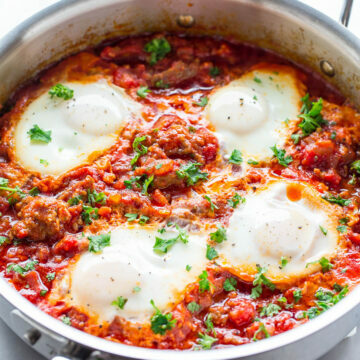 This recipe is like shakshuka, otherwise known as eggs in hell or eggs in purgatory but it’s different because I added sausage. The sausage adds heartiness and another layer of flavor in addition to the crushed tomatoes, onions, garlic, and smoked paprika. 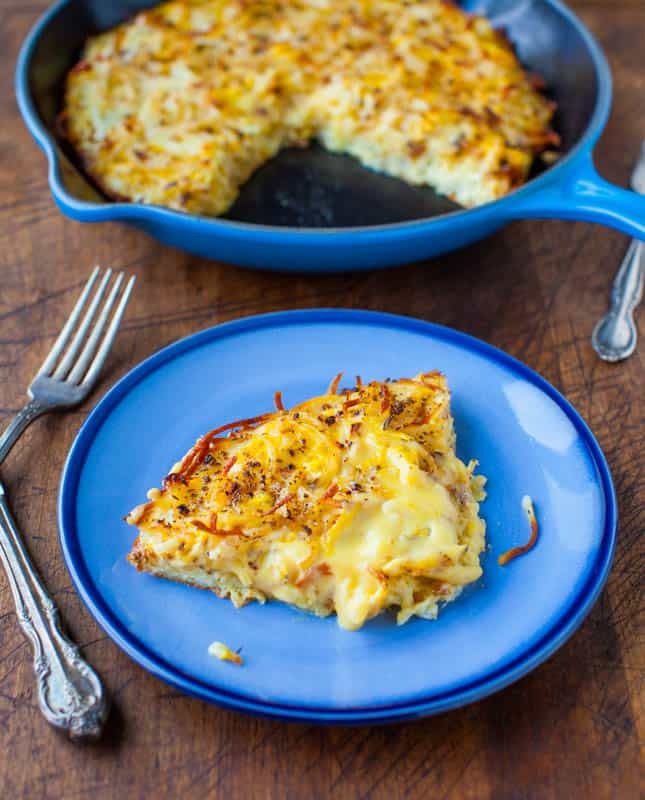 It’s an easy recipe that’s ready in 30 minutes and perfect for lazy breakfasts, holiday brunches, or breakfast-for-dinner. To a large skillet, add the olive oil, sausage, onions, smoked paprika, salt, pepper, and cook for about 8 minutes over medium-high heat, or until sausage is cooked through and onions are lightly golden browned. Stir intermittently and break up the sausage as it cooks. Add the garlic and cook for about 1 minute or until fragrant; stir intermittently. Add the tomatoes and juice, stir to combine, and allow tomatoes to simmer for about 3 to 5 minutes, or until slightly thickened and reduced. 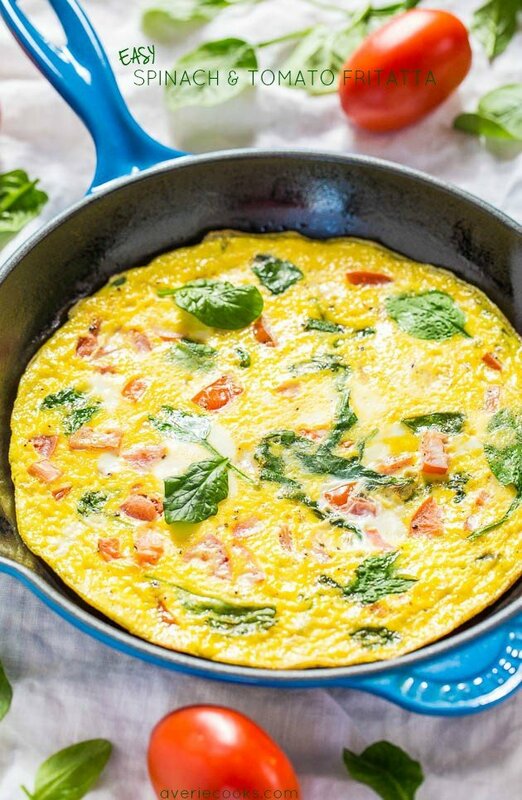 Evenly crack the eggs around the skillet, cover, and cook for about 5 minutes, or until eggs are as set as desired. Evenly sprinkle with parsley, additional salt and pepper if desired, and serve immediately. Eggs are best warm and fresh. 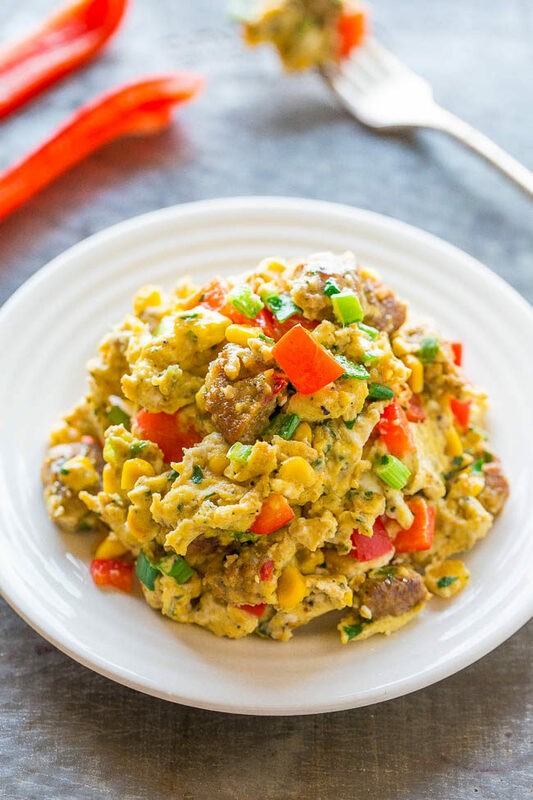 Loaded Southwestern Scramble – Don’t settle for plain scrambled eggs when you can have these!! Peppers, onions, corn, and more for flavor and texture! Easy, ready in 10 minutes, and healthy! 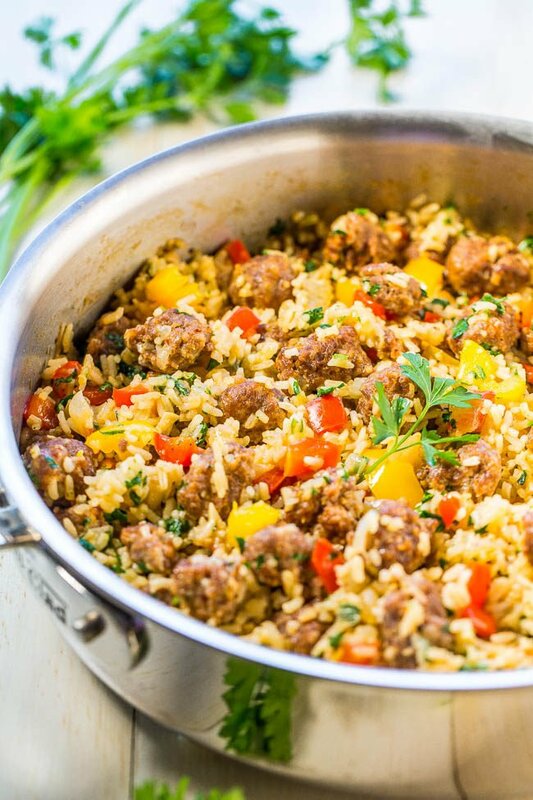 Easy One-Skillet Sausage and Peppers with Rice – Juicy sausage, crisp peppers, onions, and rice all cook together in one skillet! Makes cleanup a breeze! Packed with flavor and ready in 30 minutes! 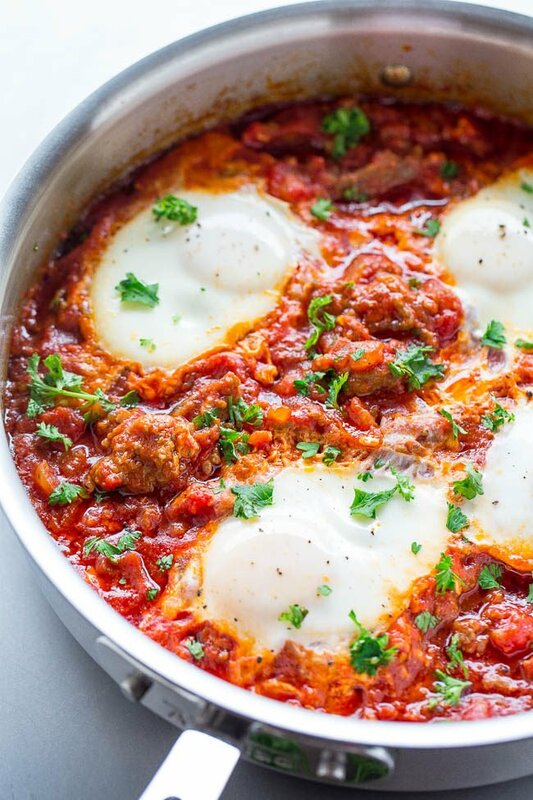 Eggs and sausage in a chunky tomato sauce sounds delicious and great for any meal! The one skillet prep is also a huge bonus so I am keeping this in mind for something different in the next couple of weeks. Jon was in the mood for sausage so this was the perfect recipe to try tonight. 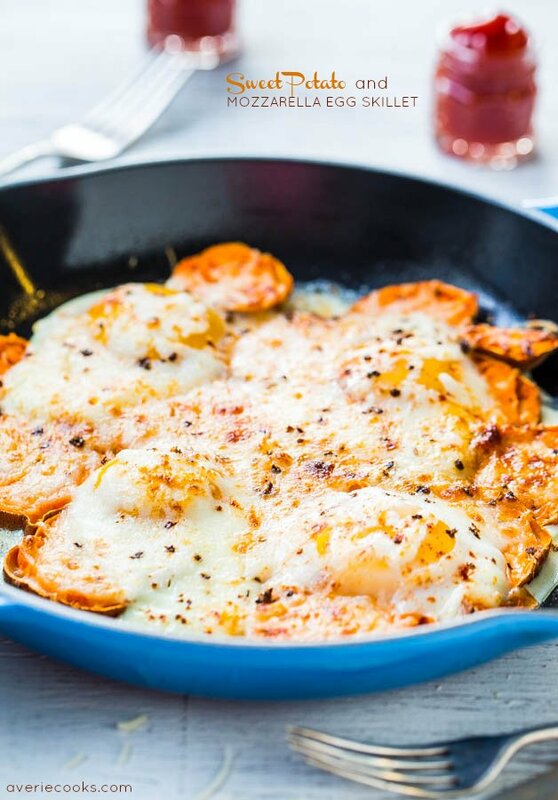 It’s easy and tastes delicious ( I love paprika with eggs)! It’s hearty but not heavy and we’ll enjoy it again! I’m thinking it might be good over spaghetti squash too. I think it would be great over spaghetti squash and yes totally agree – hearty but not heavy and glad you guys will make it again! I love the title of this recipe! This looks really good though! I’ve had eggs in hell on my to-make list since I first saw it on….I think it was emeril’s website? Maybe ottolenghi (however you spell that….) I can’t remember. But, I never have because I’m TOO LAZY. Everytime I get up to make it, I end up just mixing everything together and baking it into a frittata. It’s still good, but it’s not the same beautiful presentation. Thank you for the ‘gorgeous’ compliment because this was not easy to shoot – the white white of the eggs and then the deep red of the sauce, my camera settings were going nuts! But yes I think Ottelenghi had it in Jerusalem and then I’ve seen Bon Appetit do a spin on it. It was so good and easy! Yes! My Hubby and I love this dish. It’s so pretty too, in my opinion. And I am totally in for the addition of spicy sausage. So good! 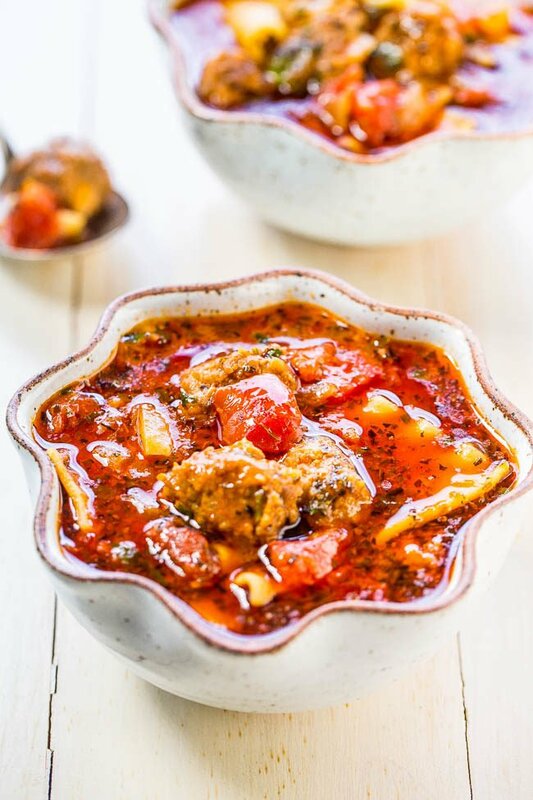 I’ve never had this dish … but we do loooove your lasagna soup recipe, and if the flavors in this are similar, I’m sure this would be a winner, as well. Similar flavor profile and if you liked that soup, I bet you’d love this dish. No pasta here but the overall vibe has similarities. Averie, what a unique and interesting name of this dish. Did you create that name or is there actually a recipe that exists with such a name? Google it, it’s definitely an established dish that goes by this name, as well as other names, like I mentioned in the opening line. The difference with mine is I included sausage. I definitely want to eat this, but equally I want to say the name of the dish all day. It looks sooooo gooooood! Because honestly, EVERYTHING is better with sausage! 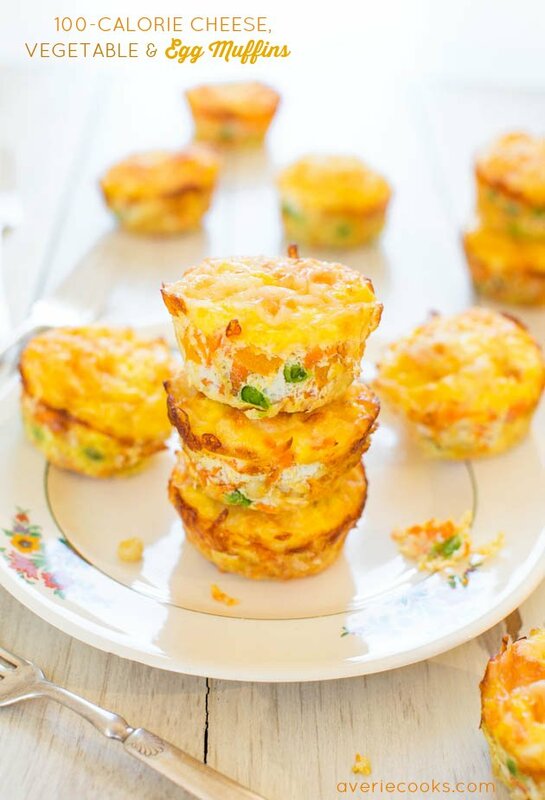 Looks yummy… we are always looking for new ways to eat eggs. Guess what will be on our breaky table very soon! Mom, “This is delicious!” So there you have it. I made this for brunch this morning – it is just the comforting smells and tastes that we need as we remember this sad day from our past. 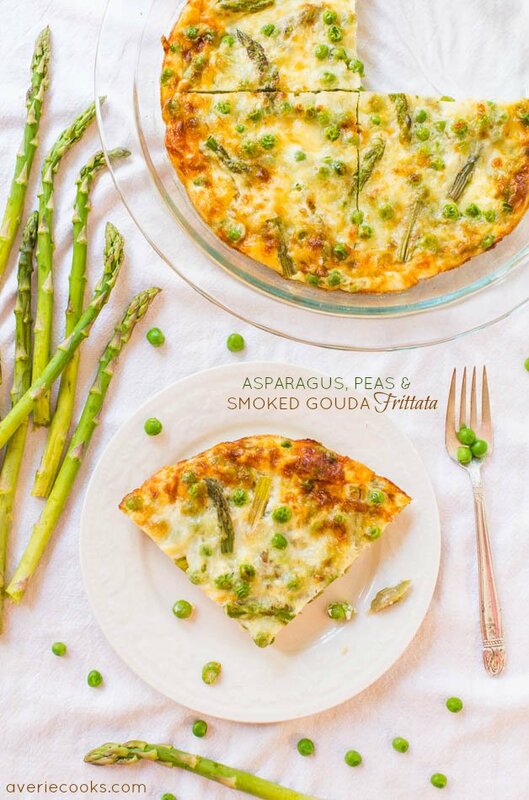 Thanks for a fantastic twist on a classic dish. 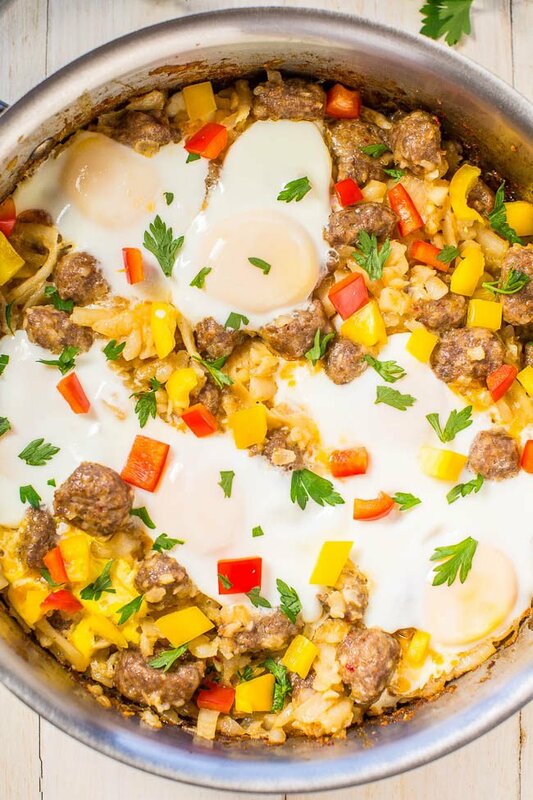 We love the hot Italian sausage and can’t imagine this dish without it. Thanks for trying the recipe and I’m glad it came out great for you! Glad it was comforting for you and that you loved the sausage! oh wow i’ve never do this before. must try it out. Italian foods are always colorful as well. they inspired me so much. Winner, winner, one HELL of a dinner! I am so glad I ran into this pin! Made it tonight. Minus the parsley (forgot it). SO GOOD! Definitely a keeper! Those pics look so tempting! I will try it once I get home tonight! Isn´t Italian food just absolutely delicious??? wow, lots of egg recipes!, love to have as many as possible and love the first one especially, never seen it before! Love the title of this post. Unique title, I must say. The recipes look good. Thanks for sharing and have a nice weekend, Averie. Kudo’s Averie! I have read like 22 billion (not really) recipes and have grown weary of the same old recipe ideas. Your “Eggs in Hell” recipe is the first FRESH idea I have seen in a long time. I got so excited that I actually cooked this recipe before leaving this comment. In my version I did three things different. I used petite diced tomatoes instead of crushed. (I like to see my tomatoes!) Second, I added whole black mustard seeds. The sight of those little black seeds gave the dish eye appeal. Finally, I am a big-time spicy guy, so I added crushed red peppers. Thanks for trying the recipe and I’m glad you enjoyed it! Glad it was a nice inspiring dish for you to try! 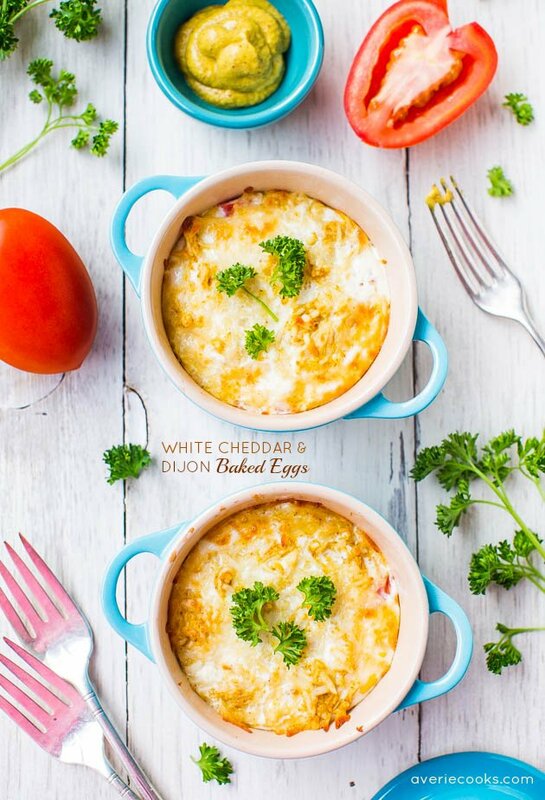 This similar to an egg dish I have made for my family many times, called Mediterranean Eggs. I like the idea of adding the sausage and will make it this way next time. I often make the sauce in a skillet and divide it among individual ramekins, crack an egg into each, place the ramekins on a baking sheet and bake it in the oven until the eggs are set, 350°F for 8-10 minutes. Serve it with toasted crusty bread. Last Fall I canned some Sweet Chili sauce and some Hot Chili sauce which I plan to substitute for the diced tomatoes in this recipe. I also am thinking about leaving a couple sausage whole and a couple out of the casing , Onlt decision is which sauce so I try first as they both are great served cold on top of any style egg. I will report back after supper tonight! Sounds like it’s going to be delish! Really enjoyed this! So did my husband. I love that you could add whatever you had left in the Refrigerator! Such as some green/red peppers or diced potatoes. I made mine with sweet Italian sausage. Thank you for sharing this recipes with your readers. Glad this brought you back to vacation memories – those are the best!